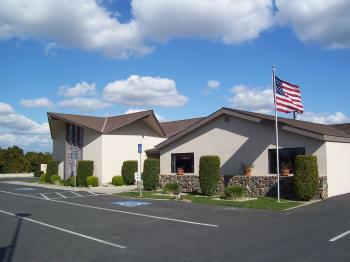 Our funeral home and staff are here to assist you in any way we can during your time of loss. We are here to provide everything you will need, from complete funeral and memorial services, to online obituaries and memorials that can be visited by guests from around the world any time of day. For years we have prided ourselves in serving our community in a professional, caring manner. We always offer our clients and their loved ones a sensitive, calming experience, where everything is taken care of for them. We not only listen carefully to the wishes and requirements of our clients, but will offer you our compassion and support in these difficult emotional times. Please feel free to contact us by phone or email, or stop by our funeral home to discuss your or your family's needs. Follow us on Facebook at Evans Miller Guinn Chapel.